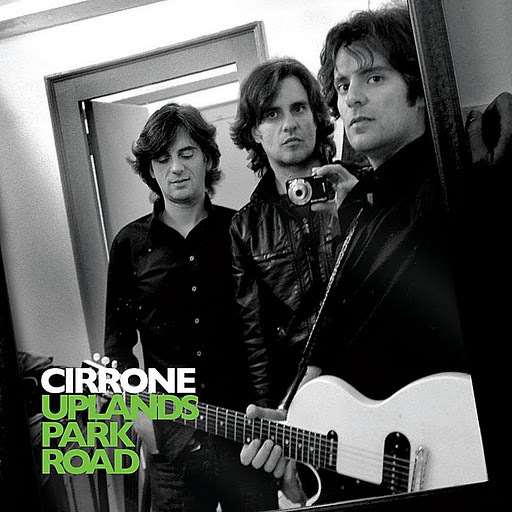 Song of the day: Cirrone – "Uplands Park Road"
The chaps who make up the band Cirrone – brothers Alessandro, Bruno, and Mirko Cirrone (hi, chaps!) – sent me an email asking if I’d review their album, Uplands Park Road. Although I was more than happy to listen and comment (it’s music that’s new to me, so I’m always keen, keen, keen), I’m afraid that this post may have ended up being a case of “be careful what you wish for”. I’ve listen to the album a few times and have jotted down some of my responses. Unfortunately for anyone reading this, I found a lot of things to comment on. Before I get to what matters (i.e., the music), I feel compelled to mention the appearance of the young gentlemen on the cover of the album. I’ll be the first to admit that, being a man, I may not be the best judge of male attractiveness, but I reckon Alessandro, Bruno, and Mirko all look like male model material. Have they ever been male models? If not, have they ever considered becoming male models? I usually don’t mind it at all when an artist or band pays homage to music of an earlier time, and enjoy the recreation of an era, but for some reason when I’m listening to Uplands Park Road I’m fully aware that this was recorded in 2011, not 1973. I know it’s an anachronism. As a result, to me this album feels more ersatz than authentic. Maybe “ersatz” is too harsh a word. I’ll put it another way: I’ll say that the music is more an approximation than the real thing. Having typed that, I do want to point out that as an album of music sounding like early-70’s power pop it’s expertly written and recorded, and impeccably executed. I also want to point out two more things: the more I listen to the album the more I enjoy it; and as I keep listening to it I’m noticing how much effort went into the making of it. I’ve never been a fan of album-opening tracks that are low-key. I much prefer “bang!” songs to start an album. This song, to me, meanders along rather pleasantly. It’s nice, but that’s all I can think of to describe it: nice. I like the mandolin (from 1:27 onward). A slightly country-boogie-ish song, courtesy of the beat and the slide guitar. After the eighth listen, it’sNice vocal harmonies. Actually, this album is full of extremely nice vocal harmonies. A nice mid-tempo pop-rocker. With extremely nice vocal harmonies. Sorry about sidetracking you with those two things (the riff and the guitar note). I’ll try not to keep noticing little things like that. They’ll just make this post way too long. I absolutely adore the chorus of this song. That’s a great chorus. I think this album is worth buying just for the chorus. As for the whole song: I reckon it would be what critics call “a long-lost Badfinger track”. I’d call it a Hudson Brothers track. If I was to offer a criticism (here we go again), I’d say it goes on a bit too long. But apart from that, I like this song. Especially that chorus. What a chorus. I don’t quite know why, but this song reminds me of The Red Button‘s She’s About To Cross My Mind (not any particular song – all of it). But back to this song: I like the “la-la-las”. Extremely trivial observation: I like the two guitars going “oo-wee-oo” at 1:38. Cute. I like the off-beat rhythm in the section where they sing “I know you will find your own way…” (from 0:46). I thought it spiced up the song quite nicely. Howevever, I wasn’t especially keen on the Hendrix-esque guitar playing (e.g., 0:41 to 0:46). I’d be quite happy if I never heard Hendrix-esque guitar playing in any more songs. By the way, this song employs the chord progression that I mentioned a couple of weeks ago. I like the abrupt ending. I just noticed I’m spending way too much time on this post. I’ll try to hurry it along by not waffling much more than I have already. Great vocal harmonies. And I love the triplets in the fade-out (3:05 to 3:07). When I say “triplets” I don’t mean the three brothers in the band. Sorry, I’m waffling again. Next song. This reminds me so much of another song, but I can’t remember what it is. Grrr. If you’ve made it to the end of this post, you’ll now know why I’m no good at reviewing albums. I ramble, waffle, and prattle. Unlike proper music reviewers, I can’t just say in a few words what I think is good/bad/meh about an album and sum it all up with a delicious turn of phrase. I’m relieved that I’ve finally finished this post. And I’d say you’re relieved, too. I’ve spent way too much time on it, and you’ve spent way too much time reading it. Thanks for your patience and perservance. You are currently browsing the archives for the Cirrone category.